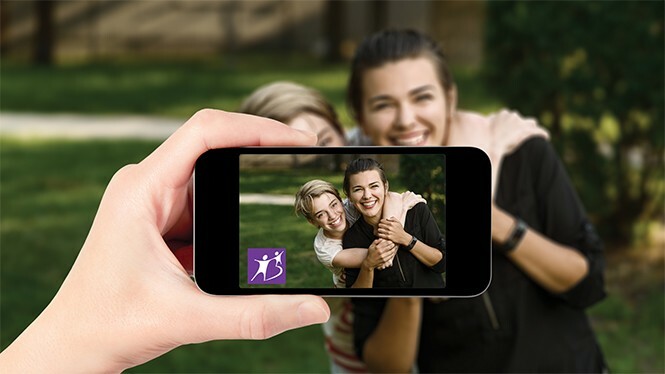 Online mentorship program opens virtual doors for Big Brothers Big Sisters. Summer Devotchka was nervous. She'd only been talking to 15-year-old Ashley online for a month before they met in person at Cottonwood High School one weeknight last October. "My go-to is humor," Devotchka says. "So, I'm just, like, 'Whenever things get awkward, make a bunch of jokes.'" Left to their own devices for a half-hour of small talk before they partook in an activity, Devotchka and Ashley, a sophomore at the Murray-based high school, bonded over their love of dogs and Black Butler, a Japanese anime series, reinforcing in person the common interests and hobbies they previously discussed over the internet. "I wanted her to make sure she liked me," Devotchka, who is also a marketing coordinator at Big Brothers Big Sisters of Utah, says. Devotchka and Ashley were matched through BBBS's Mentor 2.0, a largely remote, volunteer program for professionals who want to help Cottonwood High students be as prepared as possible for life after graduation. Mentor 2.0 began in fall 2015. Of those who participated in its inaugural class, 90 percent graduated from high school in 2017, according to Nancy Winemiller-Basinger, president and CEO of the nonprofit's Utah office. The following year, 100 percent graduated. Utah's 2016 high school graduation rate was only 85 percent, according to a blog maintained by the Utah Board of Education Office. Shannon Atkinson, program coordinator, says Cottonwood High was a prime location to launch Mentor 2.0 because once Granite High School closed in 2009, the majority of the diverse student body started attending Cottonwood. He says BBBSU hopes to one day expand the initiative to Kearns, a west side Salt Lake City high school where the demographic makeup is similar, but they'll need to secure more funding. Mentors and students communicate weekly through a text-based, email-like secure platform, answering prompts that deal with topics like professionalism, perseverance and self-advocacy, among others. Mentors respond on their own schedules, while mentees are given time in the class—taught by Atkinson—to complete the lessons. Once a month, the pairs meet in person at Cottonwood High, where they work together on activities that reinforce the curriculum. "I like the program because you have someone who you can talk to about college or other things if you don't have anyone in your personal life to talk to about [that] stuff," Ashley wrote in a text message to City Weekly, communicating through a medium similar to how she talks to her mentor. Winemiller-Basinger says Mentor 2.0 currently serves 220 high schoolers, many of whom are from families who earn low or moderate incomes. "For many of these high school students, they would be the first in their family to go to college," she says. This year, BBBSU plans to enroll 130 freshmen, meaning it's looking to add the same amount of "Bigs" to maintain the 1:1 mentor-to-mentee ratio allowing for individualized attention and support. "We constantly need mentors," Winemiller-Basinger says, noting that volunteers must have an advanced degree (usually a bachelor's, but they do accept people in some circumstances who have earned an associate degree). The program also asks for a 12-month commitment, though ideally mentors will work with the student for all four years of high school. "The ultimate goal is to help them become the best people they can be," Devotchka says. For most, that means college—Atkinson says more than 80 percent of the students who graduated in May are pursuing some form of higher education at places like Utah Valley, Weber State and Stanford universities, as well as Westminster College. "For people who really have an interest in helping kids graduate from high school, and decide what they want to do after high school and prepare for that goal, I think this is a great fit," Winemiller-Basinger says. The first remote project that Devotchka remembers doing is a virtual poster she and Ashley made about themselves. "It was really fun because it was the first time we got to know a lot about each other," Devotchka says. As they would in person, the pair clicked when they realized they both liked art and zombies. They also bonded over a shared struggle: anxiety. "It comes out in different ways, but we're able to learn a lot from each other on how to handle it and how to get through it," Devotchka says. Some of the remote activities are pretty basic, she adds, but the poster allowed for her and Ashley to flex their creative muscles and inject their personalities into it. "So she didn't think I'm just some stern adult coming into her life, telling her what to do." Devotchka, who was already raising four children, initially didn't know if she'd have time to be a mentor. "I believe that people think they're going to come into a situation like this and think they're going to be a secondary parent," she says. But that's not the case, not even for her and Ashley, who have grown close despite interacting more through text-based communications than meeting in person. "I'm not her parent. I'm not someone who's coming into her life and taking over," Devotchka says. "It's really just an email once a week. You text once in a while, then you meet once a month." More than six months removed from their first in-person meeting, Devotchka and Ashley now exchange text messages in the summer months before they'll meet again at Cottonwood High when school starts. Devotchka sends Ashley pictures of her dog, and the teen texts pictures of drawings she's working on, strengthening their relationship outside of the projects they complete in front of their respective screens during the school year. Like Ashley, should she go on to college after high school, Devotchka was the first in her family to earn a four-year degree. "I didn't necessarily have all the help that I needed when I was growing up," Devotchka says. Sure, her family loved and supported her, but she never really had a mentor. "I think the most rewarding part for me is knowing I can be there for somebody who is like me." A 13-year instructor at Salt Lake Community College, Atkinson has been molding young minds for a long time. But one Mentor 2.0 class stands out in particular, where all of the students were refugees from war-torn countries. They overcame violence, famine and language barriers, he says, crossing oceans and surviving unimaginable hardships. "These kids are incredible."